Episode 12 – It’s coming off the rails! The best thing about the last generation of consoles was the emergence of games that blurred the line between video game and movie. Uncharted 2: Among Thieves was exactly that. The game is essentially a modern day Indiana Jones – which is awesome in its own right. A direct sequel to the original, it’s the second chapter in the epic adventure that is Nathan Drake‘s life. With huge set pieces, nail-biting cinematic cut-scenes, and a very talented cast of voice actors (led by Nolan North), this game had us on the edge of our seats. And since you start this game dangling over the edge of a cliff – pun definitely intended. We also bring back our good friend Chester. This time we gave him a mic (and we really wish we hadn’t). Since he’s never played the game, but he has watched Dirk play it, he’s basically color commentary. There wasn’t any real gaming news this week, but we did piss off Rian by taking his 72 piece Darth Vader puzzle apart. We also had a heated discussion about who Disney is going to cast in a new Indiana Jones movie. Is Telltale games making a game based on Game of Thrones? Will there be a Super Mario Brothers movie starring Lou Ferrigno and Marlee Matlin? (Our money is on “No”). Can we trust any of the rumors out of England regarding copyrights? You won’t find the answer to these questions here. All I can say is that we’ve been burned before and we will never trust anyone ever again! 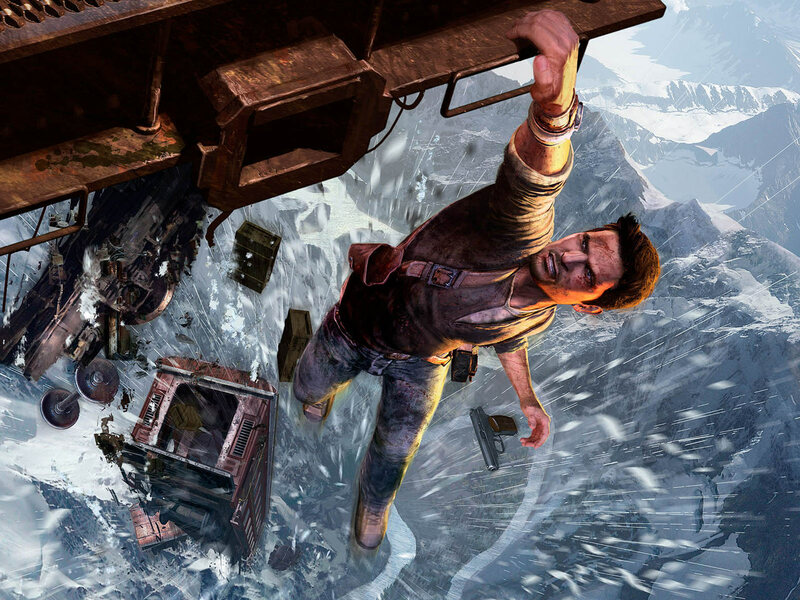 Listen to the wheels come off as we barely touch on Uncharted 2, and enjoy the twelfth episode of the Casual Cowards of Gaming.